This month, Brooklyn-raised artist RAE started The RAE Show, a project in which the artist lives behind a storefront window in a replica of his childhood room, creating new artwork day and night, living under a mask. The artist, like other recognized street artists, doesn’t use his full name or show his face to the public. RAE’s project, located at 130 Allen Street, started this past Halloween and continued on till Thanksgiving. 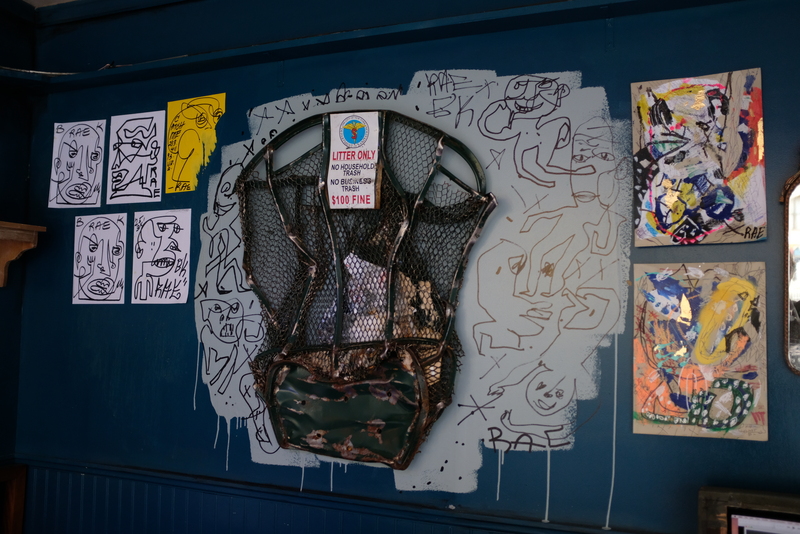 Known for his wheatpaste posters, stickers, murals, and sculptures, RAE was inspired to create the performance project from his childhood dreams of being watched and commented on. The project was livestreamed 24/7 online and included footage from several surveillance cameras placed throughout the room. RAE’s transition to living in the space took some time to get used to. “Being out in the window at night in the first couple nights was pretty weird, kind of surreal, because you turn over and you don’t see the glass – you just think you’re sleeping on the street,” he explained. RAE’s room included a bed, television sets,, old toys, completed and in-progress artwork, other furniture and a variety of large handmade masks. The project has been published throughout the press including The New York Times, PIX11 News, and Complex News. In the past, RAE’s work has also made its way onto television shows and news channels. But, perhaps most importantly, his work has remained engrained in New York on mailboxes, walls, and buildings. When asked about planning projects, RAE responded with saying that he prefers things to be open-ended, “things just happen in a better way.” The artist has been sleeping late and working late to create the most out of the less-than-4-week time he has in the space. Even within 8 days of the performative project, the street-artist has seen his work become “looser.” Thinking about leaving the space after Thanksgiving, he speculated that he’ll be a different person, “It’s only day 8 and I can already see that,” he stated.